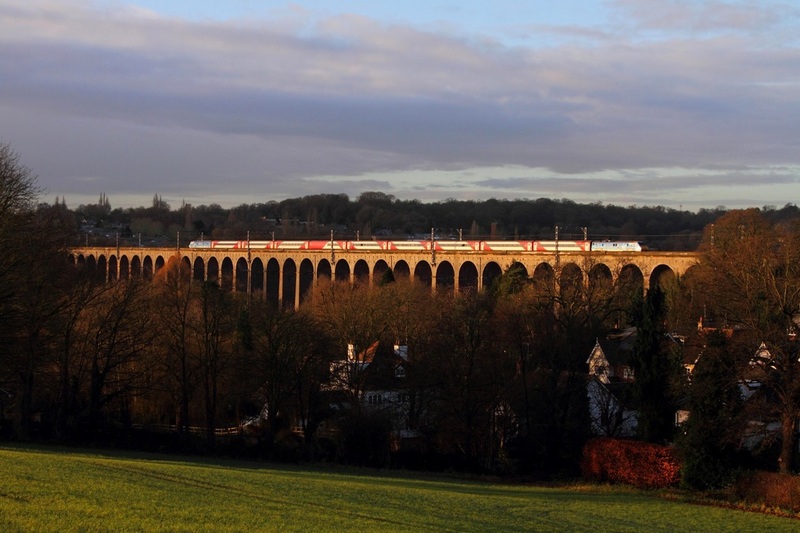 91128 in Christmas vinyl wraps powers the 1D091128 on the 1D07 0903 London Kings Cross to Leeds at Digswell viaduct on the 8th January 2016. 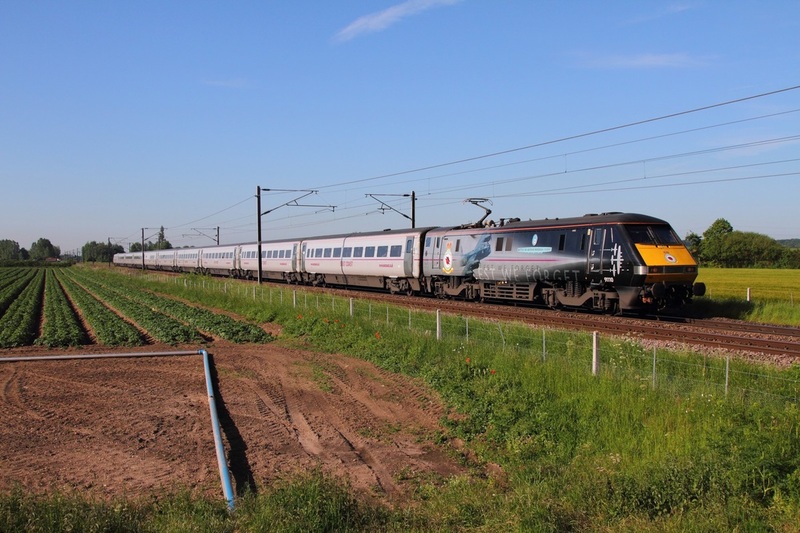 91101 on the 1D18 1435 London Kings Cross to Leeds at Hougham on the 7th April 2015. 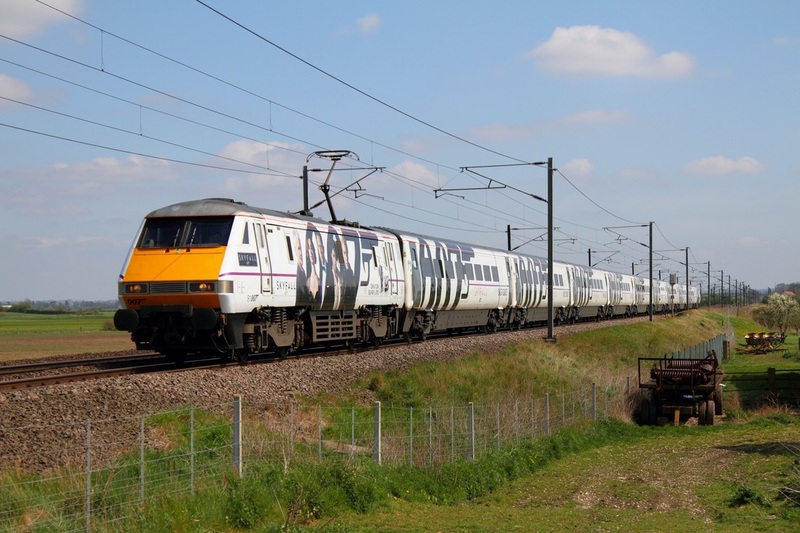 91107 1S19 London Kings Cross to Edinburgh at Claypole on the 5th May 2013. 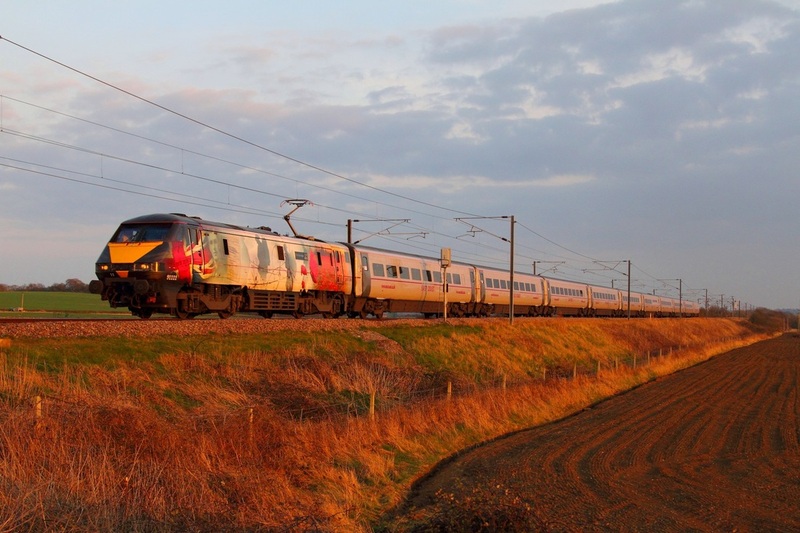 91111 works the 1D26 18:03 London Kings Cross to Skipton at Frinkley Lane on the 7th April 2015. East Coast's recent advertising livery has fallen on 91125, which is now sporting Sky 1 HD colours. 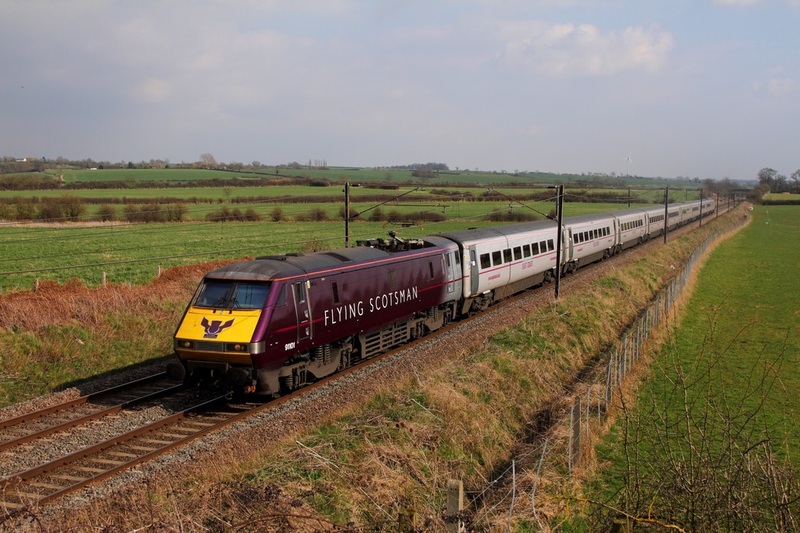 On the second day of running in service since re-entering traffic in its new livery, the Class 91 flies through Hougham north of Grantham with the 1D16 13:35 London Kings Cross to Leeds on the 30th October 2013. 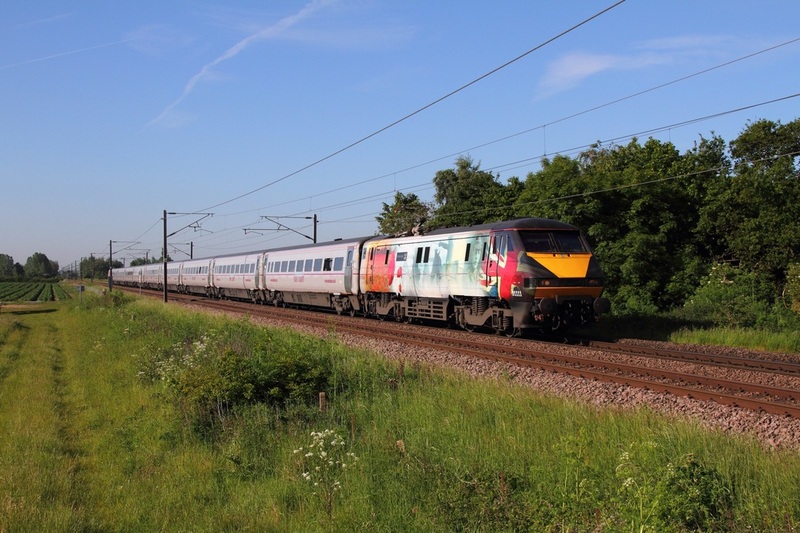 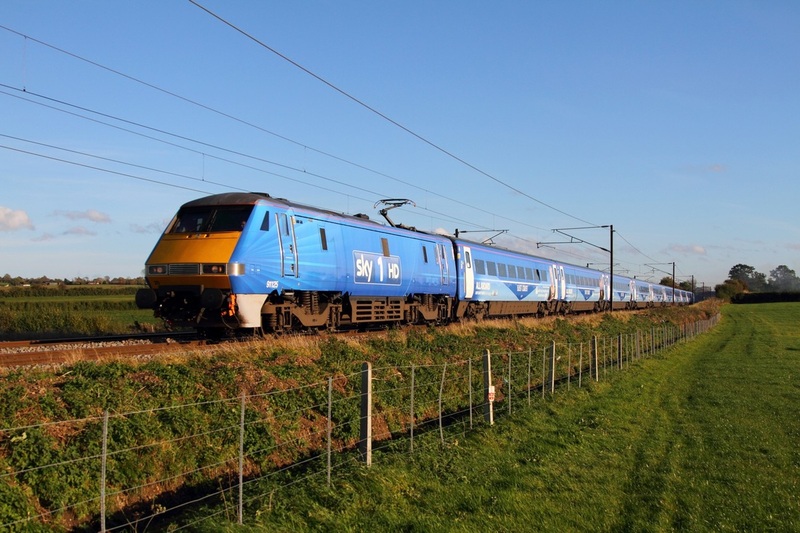 The promotional train was being followed by a helicopter and is the subject of a new TV series called 'All Abroad: East Coast Trains' which starts this following week.